Most popular current transformer in our range! 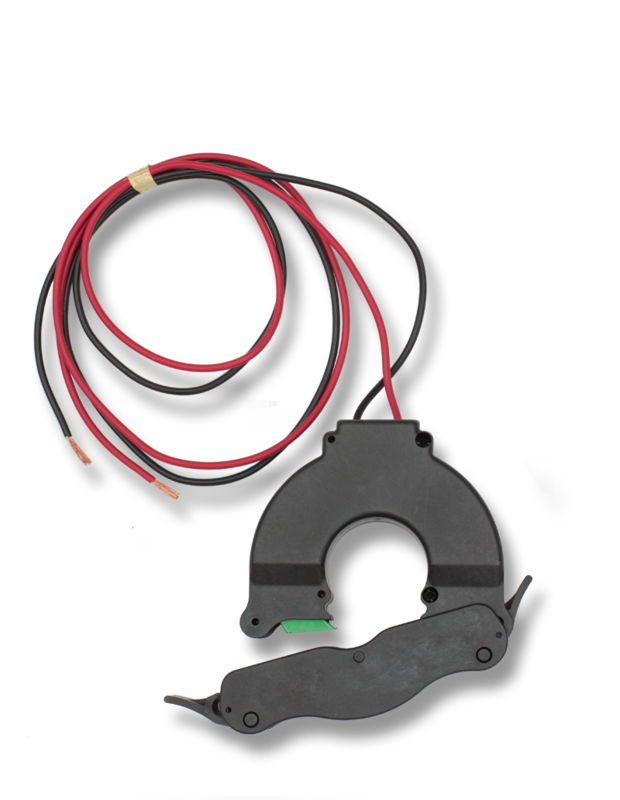 The Split Core Current Transformer uses a unique clip-together construction for connecting around electrical cables. The clip-together actions makes installation quick and easy without needing to disconnect cable circuits. The SCT is supplied in a moulded case with 1 metre flying leads. Available for primary ranges to a maximum 800A with 0-5A secondary. All current transformers are labelled showing the CT ratio and current rating, and also an arrow showing direction of energy flow for installation.